My parents hated grocery shopping with me as a kid. Unexpected items would magically find their way to the shopping cart. Sometimes it would fruit snacks, maybe some frosted cereal. But always, without a doubt, I would manage to sneak in a bag of OREO cookies. One time, I thought I hit the jackpot when I placed a family size bag of Double Stuf OREO cookies in the cart. Minutes later I found out it was someone else’s shopping cart. Even as an adult, OREO cookies are always on my shopping list. The holidays are never complete without an OREO inspired dessert. This year, I’m making caramel apples with my family. Once upon a time, I was only aware of two types of caramel apples: those with or without chopped peanuts. Then in my teens, I was exposed to the creative world of caramel apples. 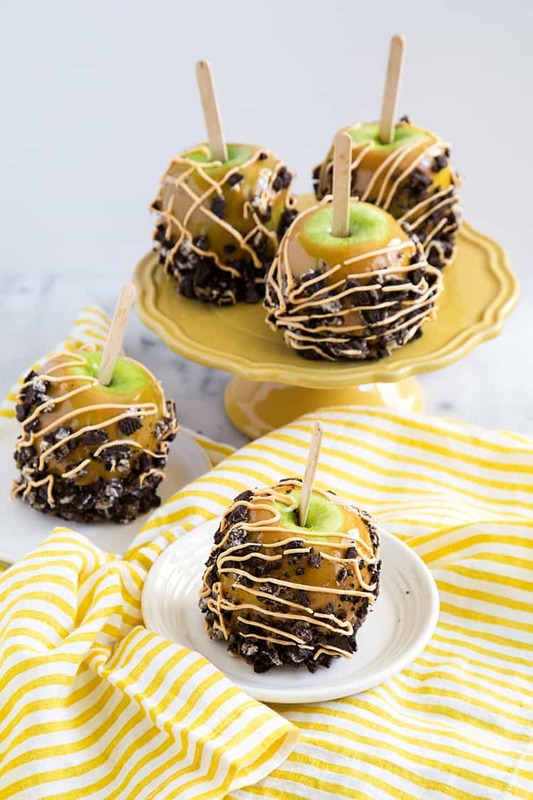 Caramel apples topped with gummies, chocolate chips, and even chopped up candy bars. But by far, chopped OREO caramel dipped apples are my favorite. 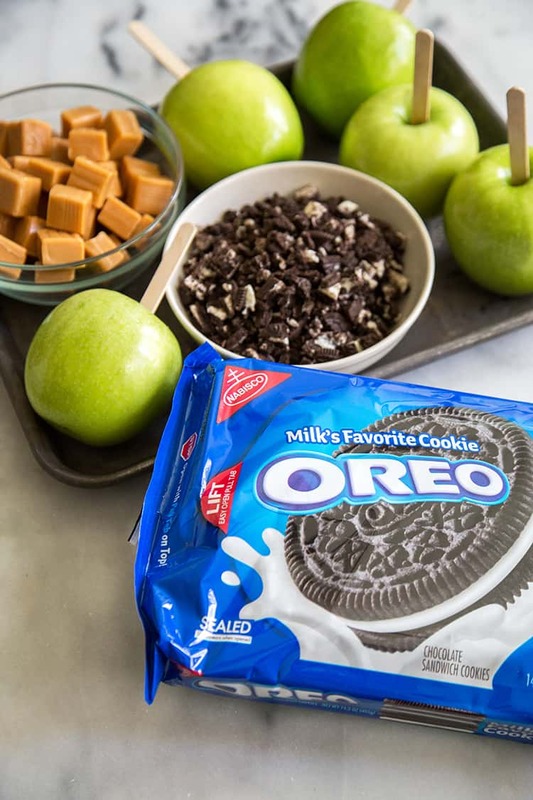 The tart Granny Smith apple provides the perfect balance to the sweet caramel and crunchy OREO cookies. They’re destined to be together. 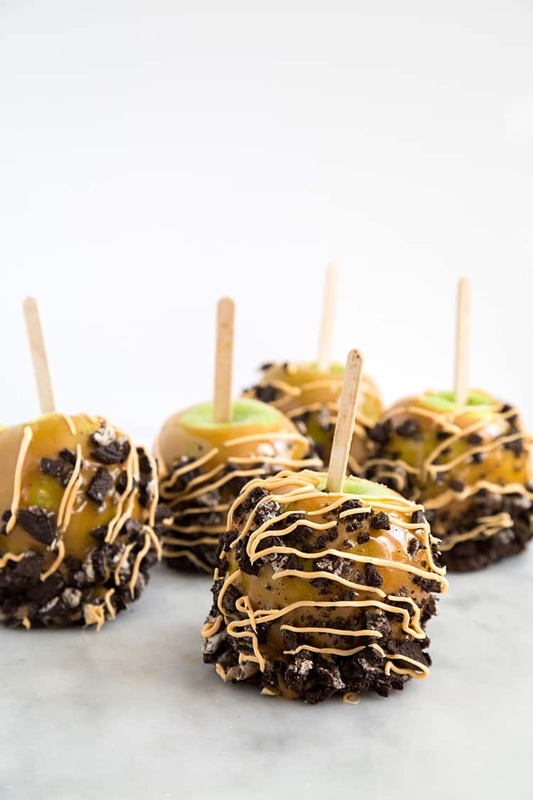 OREO caramel dipped apples are perfect for the holidays. 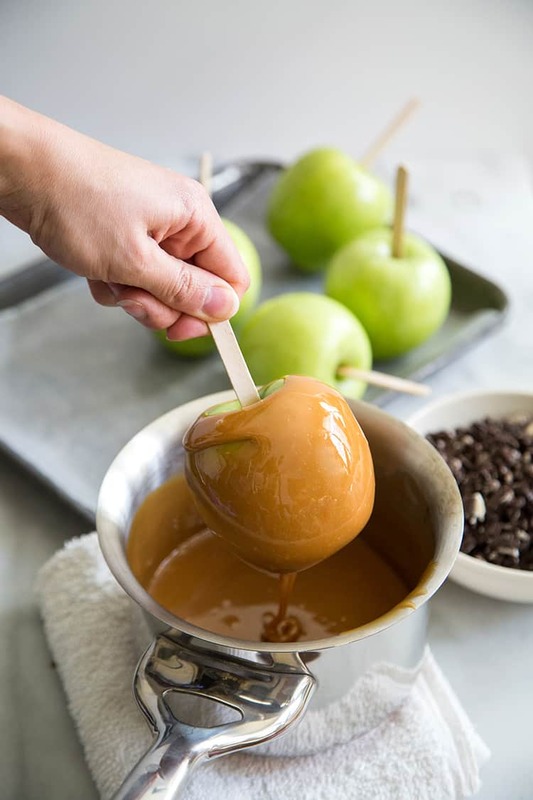 Imagine setting up a caramel apple dipping station. The wonder and excitement would span generations, bringing kids and adults together. Plus, these treats are great for sharing. Simply slice the apples and start enjoying. I buy my OREO cookies at Ralphs (Kroger, if you live outside of California). They tend to have all the different varieties of OREO cookies available. 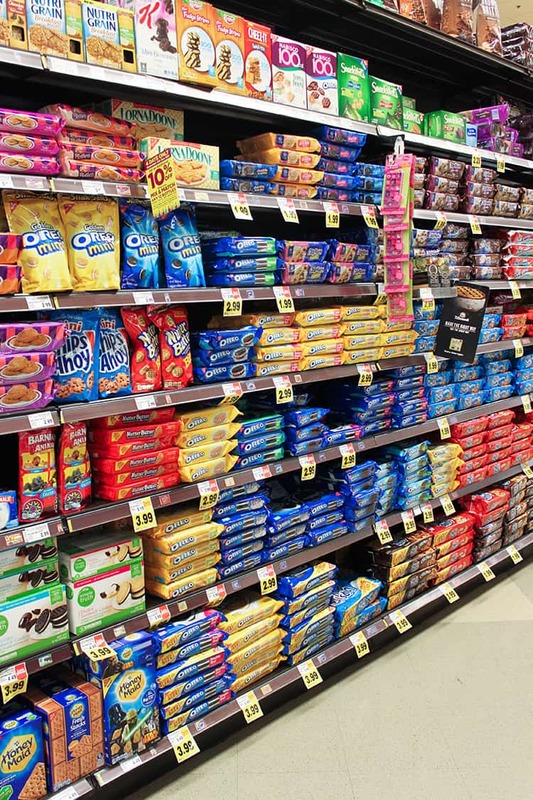 You can’t miss the OREO section in the cookie aisle of the market. During college, my roommates and I would frequent the 24-hour Ralphs near the dorms to stock up on snacks (mainly OREO cookies, popcorn, and cereal: the typical college diet). I grew to love the ease of shopping at Ralphs. It’s always well-stocked and organized. I can always find what I’m looking for right away. This holiday season, while you’re out and about shopping for your gatherings and parties, be sure to stop by Krogers and stock up on OREO cookies and #spreadOREOcheer! What is your favorite way to enjoy OREO cookies? Cook caramel and water in saucepan on medium-low heat until caramels are completely melted, stirring frequently. Dip apples, one at time, in melted caramel, then spoon enough of the remaining caramel over apple until completely coated. Immediately roll in chopped cookies, pressing cookies gently into caramel to secure. Place on waxed paper covered baking sheet. Let stand for 25 minutes or until caramel is firm. Melt white chocolate as directed on package. Stir in 4 drops of yellow food coloring and 1 drop of red food coloring. Cool 15 minutes. Drizzle over apples and let stand for 10 minutes or until firm. 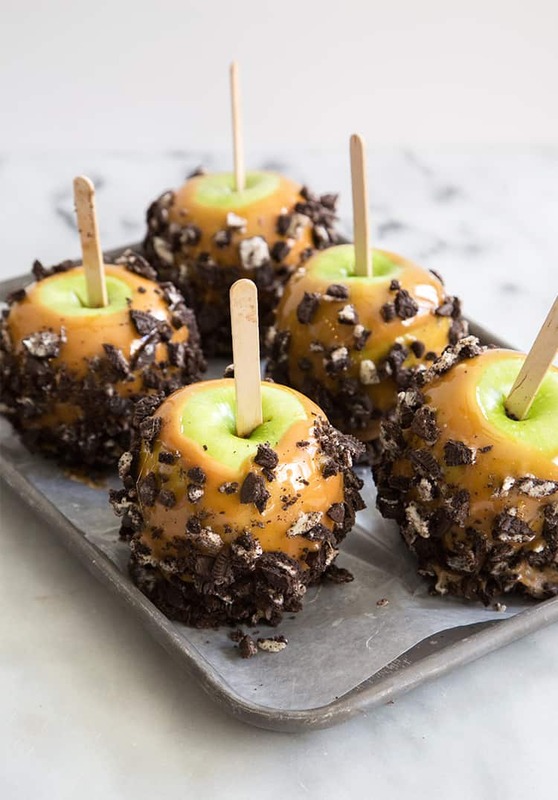 This OREO caramel dipped apple is an official OREO cookie recipe. Be sure to check out the OREO website for additional recipes and tons of inspiration and ideas. i like oreo’s plain. without milk. boring, i know. but just because i like them best that way doesn’t mean i don’t like them other ways (: i had a scoop of oreo/thin mint/cinnamon ice cream in a hong kong egg waffle last week, and some really milky vanilla soft serve topped with crushed oreos a couple weeks ago, and both were amazing! AHH! Did you go to The Cauldron and order the cauldron?! I went there a couple weeks ago and LOVED it. 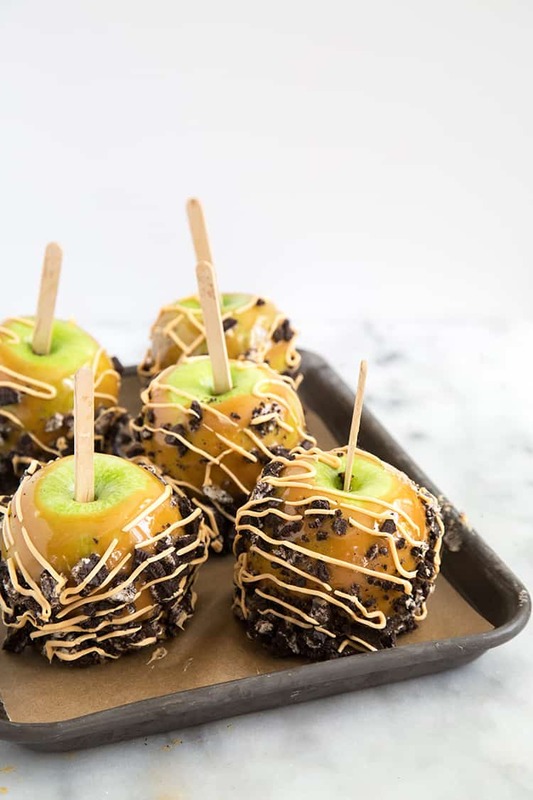 Those are some pretty awesome looking caramel apples. The oreos just elevate an awesome treat to extraodinary! YUM! This is an awesome idea! I like them, great flavors and texture. I think these are the caramel apples of my dreams! My kids like to give Halloween goodies to the neighborhood trick-or-treat. These cookie-caramel apples were door prizes for a few lucky ghosts! These look amazing!! Would definitely make these.